There’s a Punjabi saying that goes, “Jine lahore nahin dekhya wo te jamiya hi nahi“. 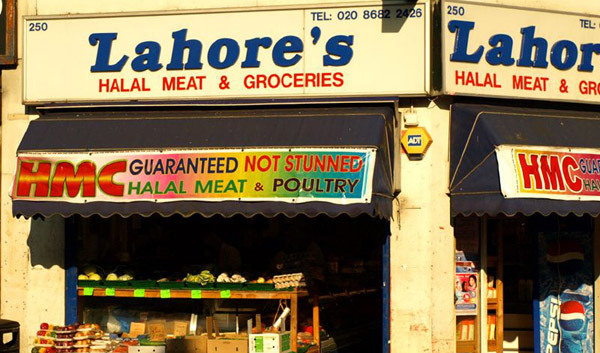 What this basically means is that whosoever hasn’t seen Lahore, hasn’t lived (more literally hasn’t been born). 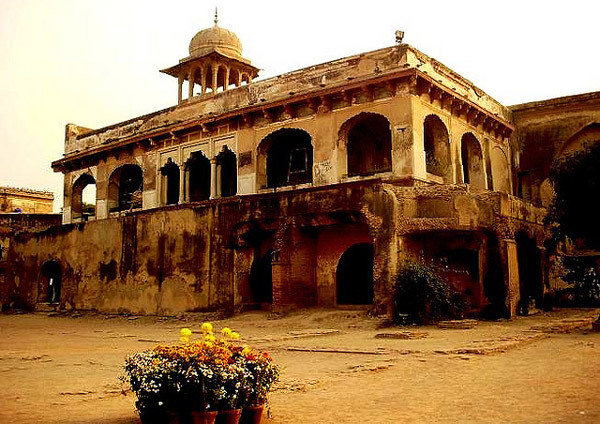 Lahore is a historic place, with strong Mughal heritage. It is the second largest city in Pakistan, and the capital of its largest province: Punjab. In the 12th century, it was capital of the Ghaznavids empire. Which I mention only because I am a Ghaznavi. There’s so much I can tell you about Lahore. It’s a unique place and the cultural capital of Pakistan. The sights, smells, colors, everything about it is alive and vibrant. It’s perfect chaos, and the food is nothing like the subpar quality of Pakistani food you have here in the United States. Here’s the alternate spices if you don’t have Shaan Lahori Charga Masala and want to make this from scratch – not really a big deal, I just like to complain. 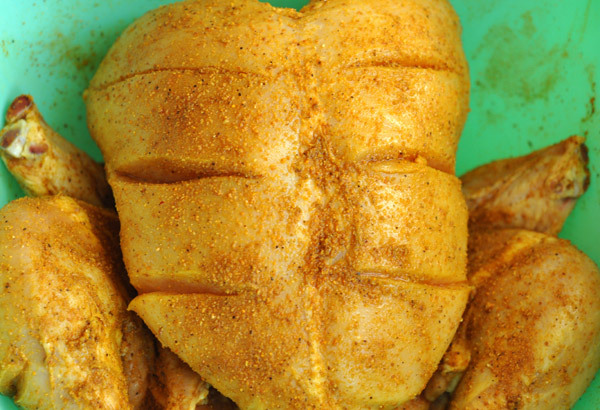 Wash the chicken thoroughly, and make 2 cuts in the chicken breast so that the masala will penetrate beyond the surface. 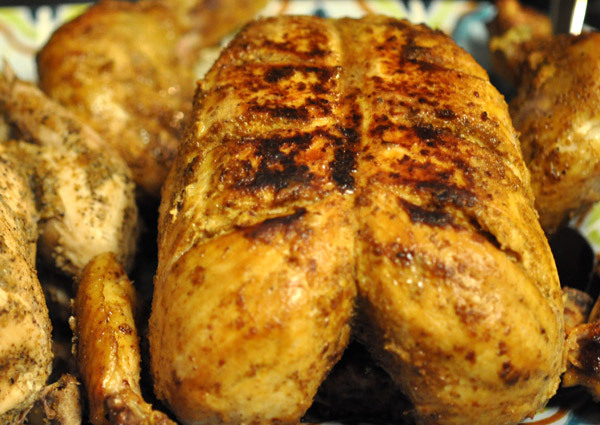 Cover the whole chicken with the juice of one whole lemon or lime. 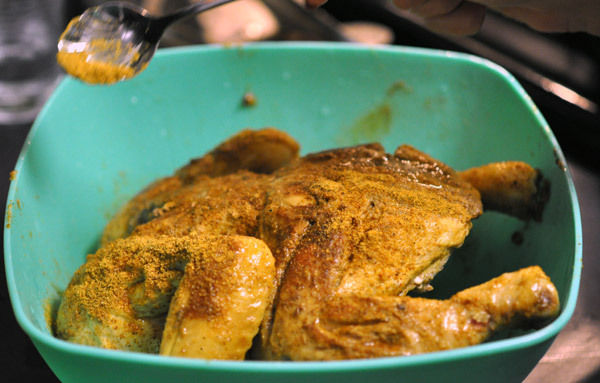 Sprinkle entire chicken with Lahori Charga Masala. Let marinate for at least 4 hours. Overnight is best. Pan grill the chicken covered on medium heat without oil. Make sure to turn the chicken on all sides and watch that the heat isn’t so high that it is burning. Once you feel the chicken is cooked (turns white), take it out. Rinse out the pot if you are using it for deep frying. 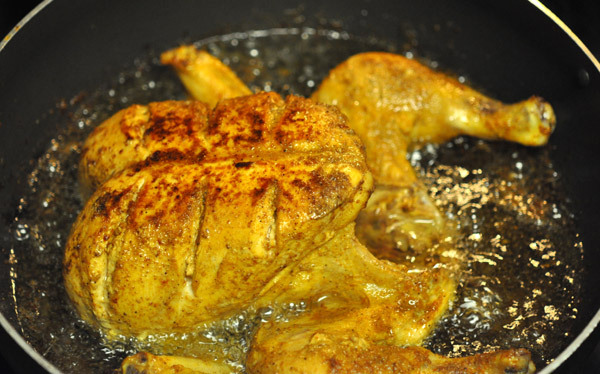 Squeeze another lemon or lime on the chicken, re-sprinkle with Lahori Charga Masala (dry rubbing). If you don’t have a deep fryer, just turn the chicken until all sides have had a chance to fry in oil. Serve immediately. 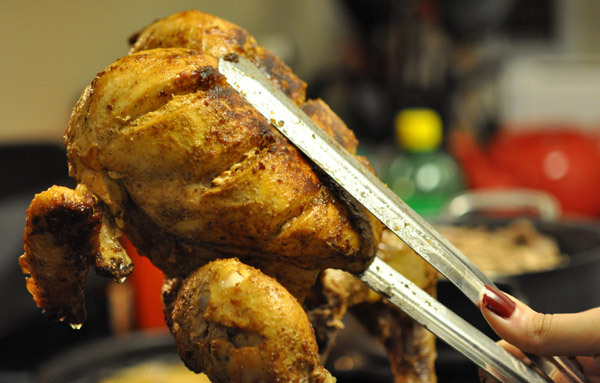 You should put the remaining Masala and lemons/limes for guests to add onto their prepared chicken as desired. Very interesting recipe. I read somewhere that from the 1920s to 1940s, Lahore was among the most stylish cities of the world–with Paris, London, New York–the best fashions, parties, and trendy lifestyles were to be seen in these cities. P.S. How do you get that color on the Lahori Charga masala without turmeric? 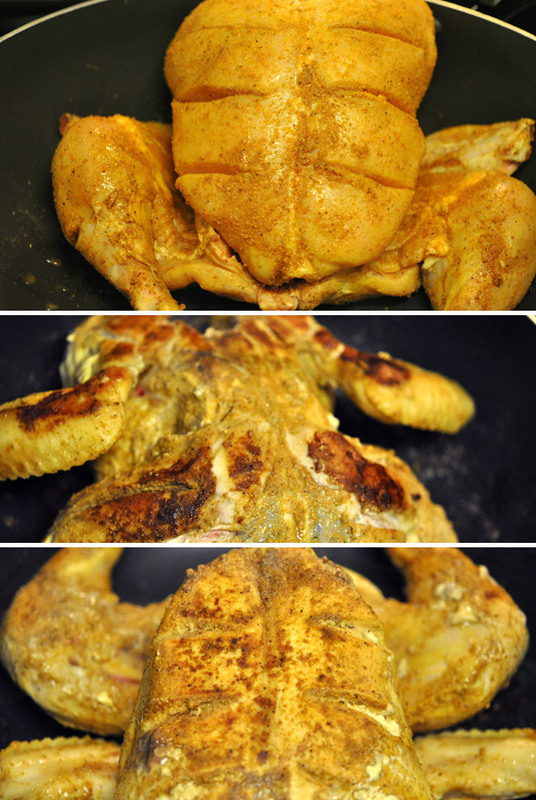 It has to have some turmeric and perhaps some red chillies powder as well…????? I love Punjabi food, my mom would always look charga for me along with Aloo Gobi, Murgh Chana, Punjabi Samosas. Best food in the world!